You are going to Watch Naruto Shippuden Episode 302 English dubbed online free episodes with HQ / high quality. Stream Anime Naruto Shippuden Episode 302 Online English dub Terror: The Steam Imp. 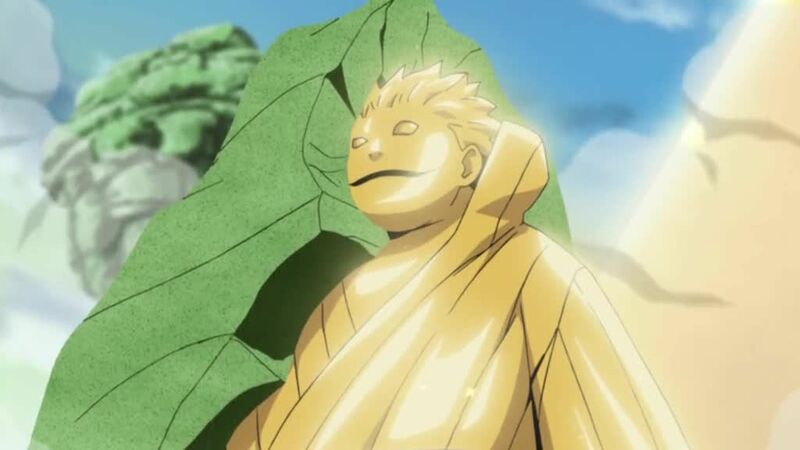 Ōnoki is revealed to be a sand clone shocking the Second Mizukage as the sand rose up to seal him. However, before the tags can be completely applied, Gaara’s Desert Layered Imperial Funeral explodes and the Mizukage’s ominous face appears in the sky above them. As hail begins to fall, Ōnoki explains that this was not genjutsu again, but the Second’s Steaming Danger Tyranny technique. As a chibi-like clone forms before them and begins to attack the Fourth Division, Gaara sets out to find the real Mizukage who, as the Tsuchikage noted, had been left severely weakened after using this technique. Finding him, Gaara moves to immediately seal the Mizukage, but once again before the seals can be applied, the clones intervenes this time, ripping them off the sand pyramid. Popping his head out from atop the pyramid, the Second greets his opponents serenely before ducking back in to avoid a volley of shuriken launched at him.